Ted Cruz, under fire for misinforming Iowa voters about the status of his rival Ben Carson's campaign, is wrongly claiming that it is CNN's fault. In a strongly worded statement on Wednesday evening, CNN said, "Senator Cruz's claims about CNN are false. At no point did the network indicate Dr. Carson would suspend his campaign." Later in the evening, Cruz acknowledged that "CNN got it correct." The controversy stems from a CNN scoop that was broadcast Monday night, minutes before the Iowa caucuses began. Reporter Chris Moody received information from the Carson campaign that he would be taking a break from the campaign trail after Iowa. Moody, and the other CNN reporters who followed up on the report, said Carson would continue campaigning after taking a break at home in Florida. His next stop, they said, would be Washington, D.C., for the National Prayer Breakfast on Thursday. During CNN's live coverage, Jake Tapper and Dana Bash called the move "very unusual," but said nothing about Carson dropping out of the race. Somewhere along the way, the story got twisted. Cruz campaign aides alerted supporters in Iowa that Carson might be a goner. Before long there were allegations that the Cruz campaign had suppressed Carson's vote total by spreading rumors that Carson was giving up on the race. Shortly after the CNN report came out, Carson's campaign downplayed the significance, saying the candidate needed a fresh set of clothes. Meanwhile, political analysts generally agreed with Tapper and Bash's assessment that it was unusual for a presidential candidate to not rush to New Hampshire. Virtually all of Carson's rivals hurried to New Hampshire after the caucuses. 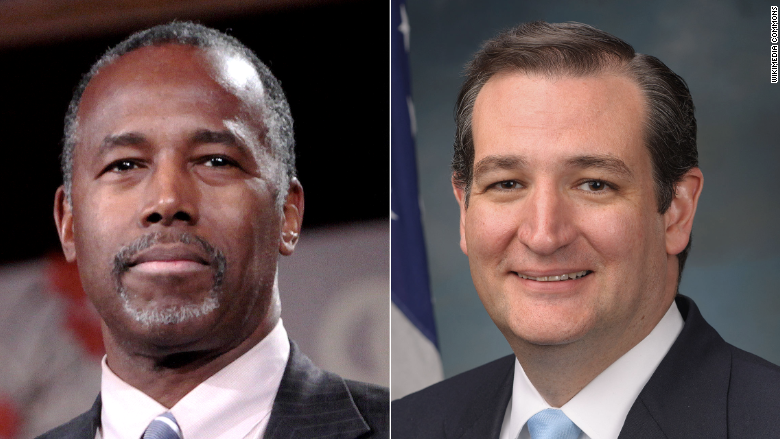 The next morning, Carson's side started lambasting Cruz for "dirty tricks." This prompted a half-apology from Cruz that pointed a finger at CNN. "Last night when our political team saw the CNN post saying Dr. Carson was not carrying on to New Hampshire and South Carolina, our campaign updated the grassroots leaders just as we would with any breaking news story. That's fair game," Cruz said in a statement. "What the team should have done is send around the follow-up statement from the Carson campaign clarifying that he was indeed staying in the race when that came out. That was a mistake from our end, and for that I apologize to Dr. Carson." Essentially the Cruz campaign ignored the inconvenient part of CNN's original report — that Carson was not dropping out of the race. In fact, Moody said so explicitly on Twitter: "He plans to stay in the race beyond Iowa no matter what the results are tonight." So the misinformation began with a kernel of truth — that Carson was catching his breath after the caucuses — but was transformed into something untrue. CNN's statement laid out the facts this way: "Our correspondent reported the information provided to him by the Carson campaign. Dr. Carson's staff informed CNN that he would return home to take a 'deep breath' before resuming his activities on the trail. That information was reported accurately by CNN across TV and digital." By Wednesday morning, Donald Trump had weighed in, accusing Cruz of "fraud" in Iowa, partly for misinforming voters about Carson. But Cruz stuck to his story, telling reporters, "Our political team passed on a CNN news story that CNN wrote. The news story said that Ben Carson was not continuing from Iowa on to New Hampshire. He was not continuing to South Carolina. Instead, he was going home to Florida. That was a news story CNN had posted, and our political team passed it on to our supporters. It was breaking news that was relevant." Cruz claimed that the media "wants to stir up a fight between Ben Carson and me." When CNN anchor Brooke Baldwin played that sound bite from Cruz, she followed up with a forceful rebuttal: "When Senator Cruz, with all due respect, tries to throw my network and CNN under the bus, let me stand up for my colleagues and journalists here... We reported it accurately." "I'm going to call out B.S. if I hear B.S. And that was B.S.," Baldwin said. At a Wednesday night campaign event in Nashua, New Hampshire, Cruz said that "CNN got it correct" and that "miracles happen." He once again asserted that his campaign was right to share the Carson news with supporters during the caucuses. "The last I checked, passing on news stories about breaking news that is true and accurate is, and should, be part of the democratic process. And all of the rest of it is just silly noise," he said.